Stylish home featuring a highly desirable and rare floor plan, one of only four in the development! Situated on a prime lot in coveted Jacobs Reserve! The flexible layout will easily adapt to your family's needs. 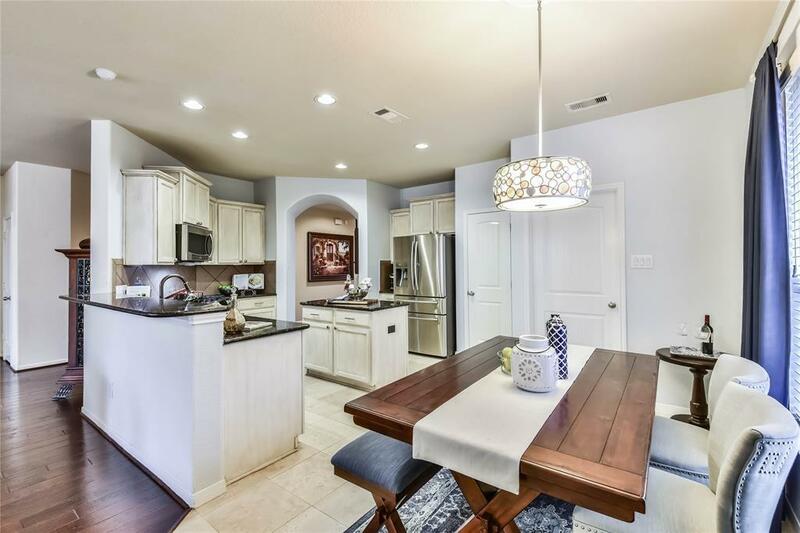 Home features an elegant entryway with handsome wood flooring throughout, custom built-in shelving, a gorgeous fireplace, sun drenched kitchen, natural travertine flooring, updated SS appliances and a spacious walk in pantry. No carpet on entire first level!! The second level features a game room, extra bedroom and full bath that will easily convert to a guest suite or mother in law suite. A lovely covered patio with outdoor kitchen and built in entertainment is perfect for your next gathering! 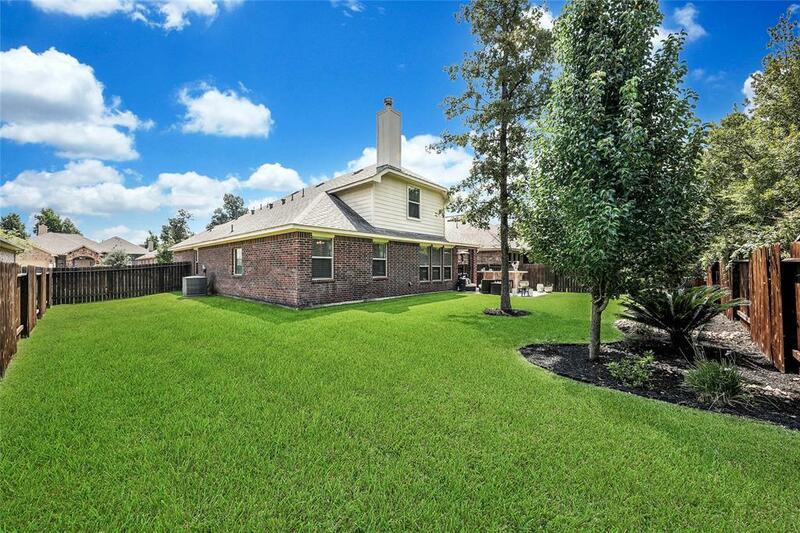 Plenty of room for a pool with ample green space in the backyard! 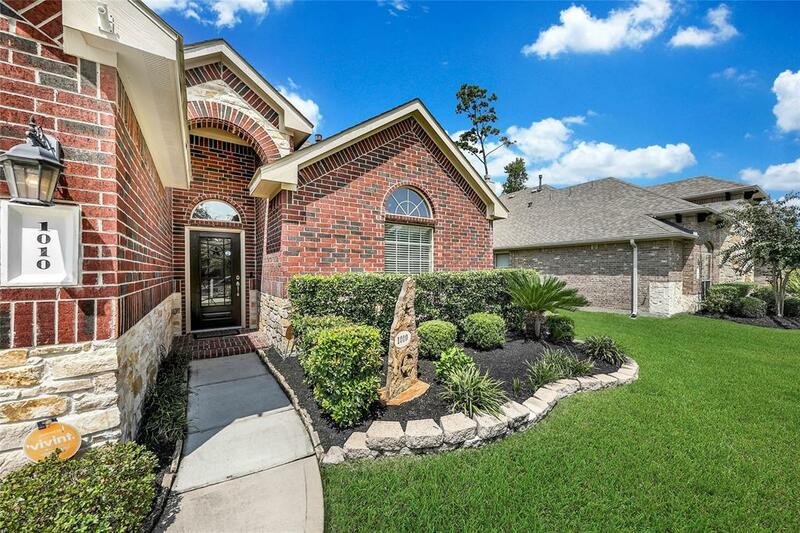 Abundant with neighborhood amenities, this home won't last long! No flooding ever! 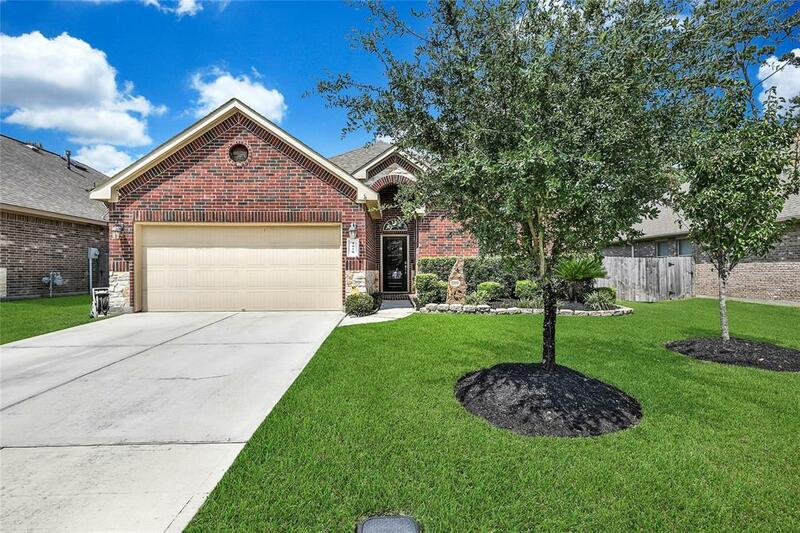 Zoned to The Woodlands schools, close proximity to I-45 and easy commute to the Exxon campus.